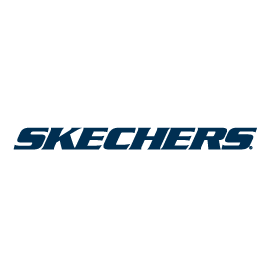 Buy Cheap Skechers Shoes: Skechers Trainers at Great Low Prices! Originally specialising in skate shoes, Skechers now make shoes in countless styles and colours. Today’s Skechers footwear embraces technology while retaining a sporty edge – providing cushioned support, flexible soles and thick padding. Men’s Skechers – crafted from lightweight fabrics, with memory foam insoles for the ultimate comfort, Skechers lace up trainers are perfect for walking or running. 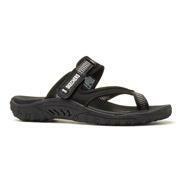 Women’s Skechers – sporty and casual, the Skechers women’s range includes sandals, lace up trainers and boots. Girls’ Skechers – ensure your little princess is the envy of all her friends with light up girls’ Skechers, and stylish leather shoes perfect for school. Boy’s Skechers – super lightweight and comfortable, boys’ Skechers include easy fasten trainers and lace up styles. 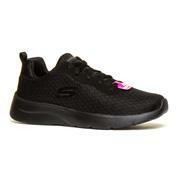 Whichever Skechers shoes you need, you get free delivery when ordering from Shoe Zone. Browse other collections by leading brands. 134 products from £14.99 to £69.99.